When Nicola of Halfpenny Home asked if I would like to come and spend the day with her and friend Lynne to do some natural dyeing I nearly bit her hand off. 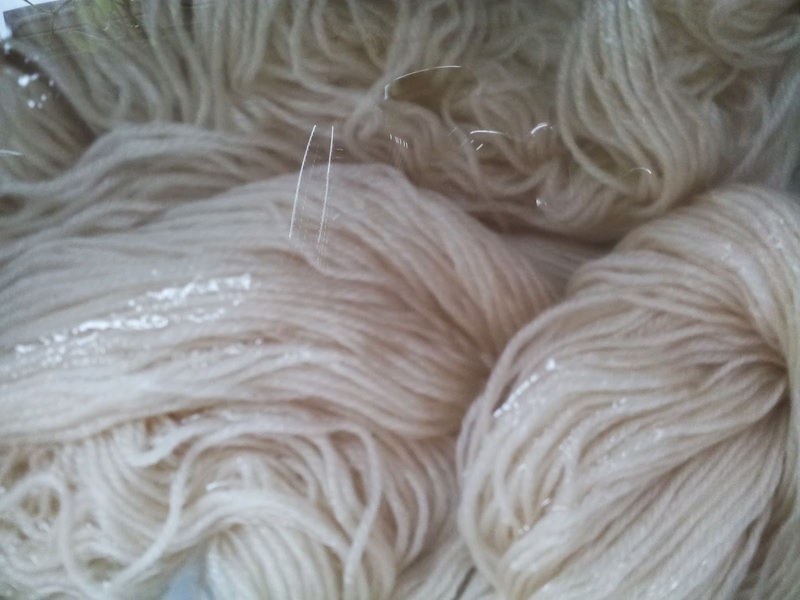 I set off into the wilds of Suffolk (Needham Market) with lunch and cake (to say thank you) and 400g of yarn to dye. 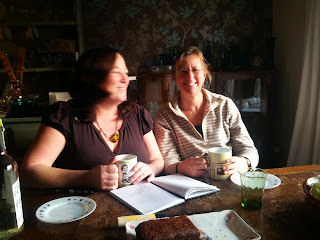 Nicola had some dried weld and indigo and Lynne had picked and frozen elderberries. 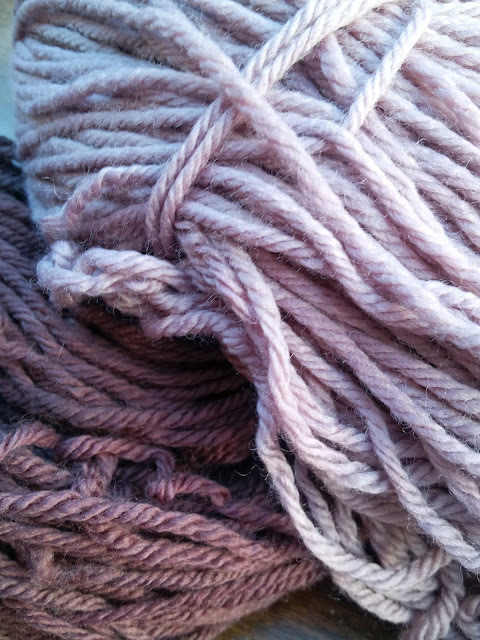 The pair have done a lot of natural dyeing and use their knowledge of technique, past experimentation and infectious enthusiasm for colour to great effect. They make a highly complex subject seem so easy and fun. I came to Nicola’s armed with inspiration photos from the Suffolk collection to see if we could dye some yarn with materials grown on Suffolk hedgerows to match the colours. and breaking up and boiling the weld. 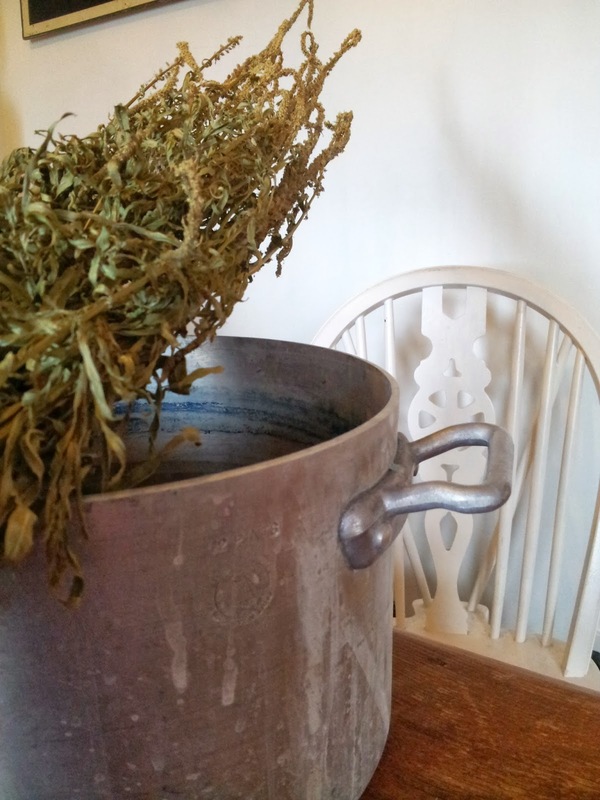 Once the colour of the water looked right we removed the plant matter and brought the yarn gradually up to temperature before throwing it in the pot and hoping for the best. The yarn is undyed West Yorkshire Spinners Bluefaced Leicester so I was only slightly panicked that I would ruin this delicious yarn in the process. 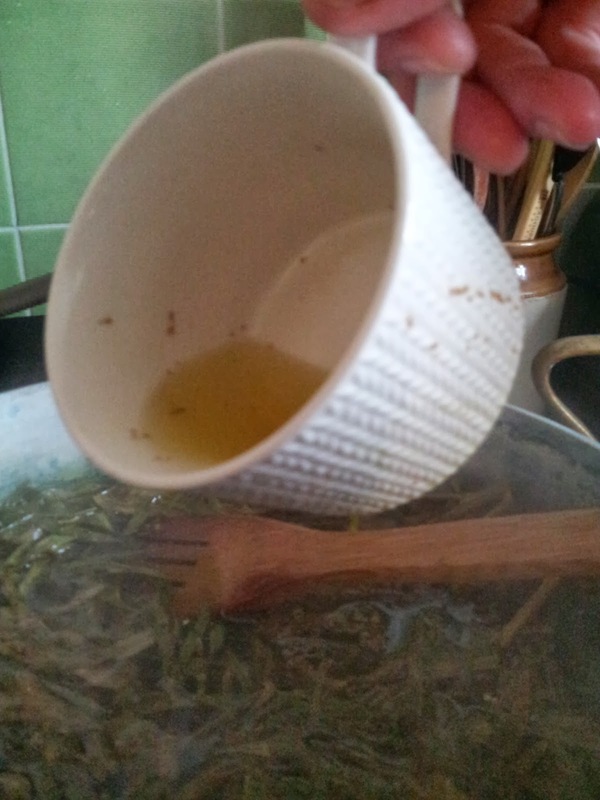 This was the colour as it came out of the pot. I used the another WYS BFL skein to dye some indigo. It had been mordanted with the alum too. This isn’t necessary for indigo but it will have changed the result. 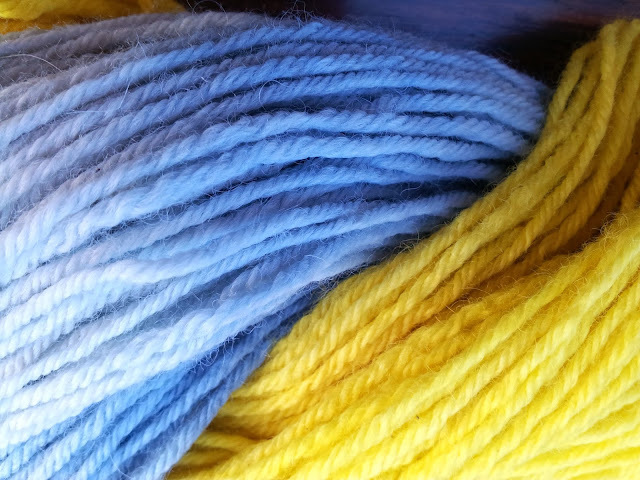 I decided to dip dye the yarn to achieve a variegated effect. Indigo isn’t indigenous to Suffolk but woad (that could be) is pretty stinky to achieve a similar effect and I needed a blue as I have the weld and the indigo are perfect colours to create something inspired by this photo. What do you think of the end result? I used four balls of Knit Picks Swish DK, a merino in the elderberries. We didn’t use a mordant as elderberry is high in tannins so it isn’t necessary. Two balls were boiled for an hour and the other two for about ten minutes to achieve toning shades. HUGE thanks to Lynne for letting me have first two goes in this dye bath. I do hope you had time to do your own dyeing and that I hadn’t exhausted all the dye! These colours bring me in mind of Suffolk heathlands towards the coast. I don’t have any inspiration photos from that area but perhaps this is the perfect excuse for a day trip! 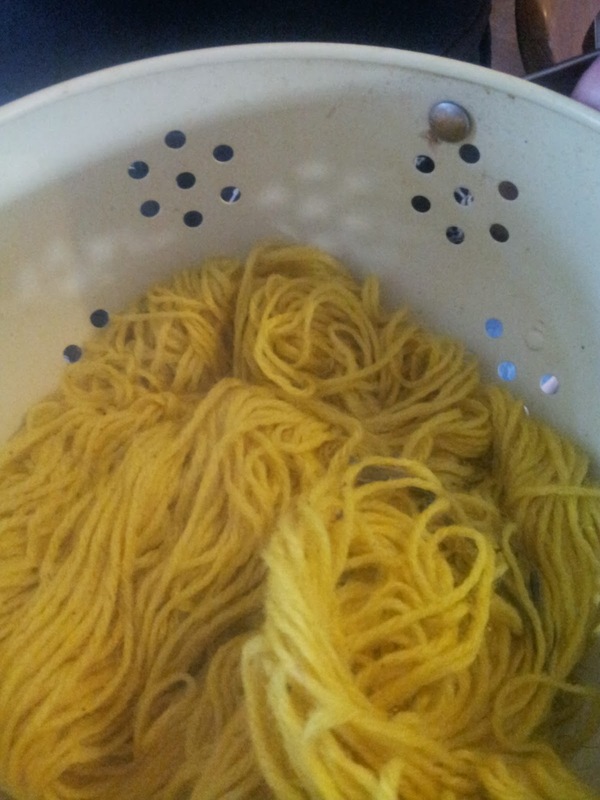 Natural dyeing is very easy to get started and is easily achievable at home but it would take a lifetime to master. 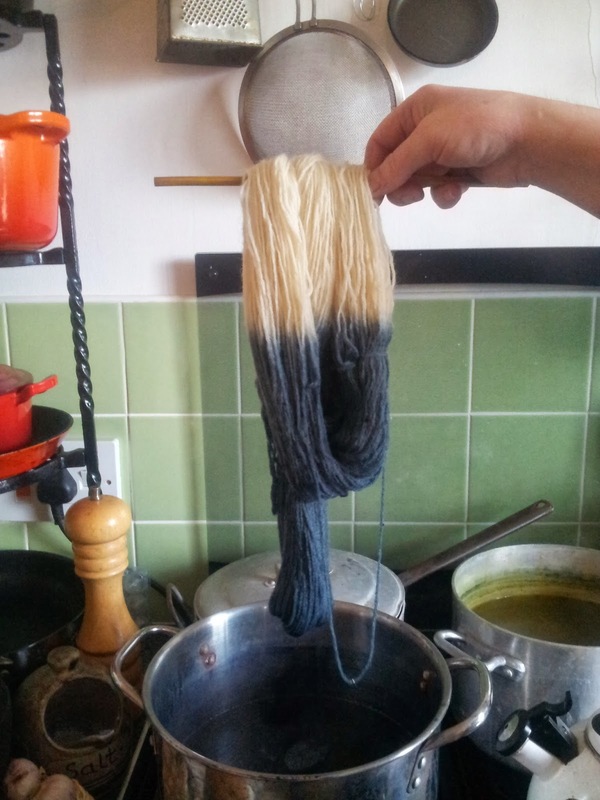 If you’d like to do some natural dyeing yourself I highly recommend you attend one of Nicola’s classes if you can. If you aren’t close enough she has a book, A Green Guide to Country Crafts full of beautiful projects including how to dye and use mordants. But if you are close enough to come to class then you might be interested to know that I will be teaching crochet workshops at Halfpenny Home next year! Look out here and on Nicola’s blog for more details soon. Thank you Nicola and Lynne! What colours do you associate with your home landscape? This is an interesting blog, Joanne. I’m enjoying reading about your journey through the design process in this project. Woad has been grown in East Anglia over millennia – the Norfolk Iceni tribe, led by Boudica, painted Celtic motifs on their skins with woad in the first century, and it was also the dye used for the blue broadcloths that made Lavenham in Suffolk the richest town in Medieval Britain. I wrote about woad on my blog a while back if you want to find out more. Ah fantastic!!!! I bet you had an absolute ball – lucky thing! The colours are divine … looking forward to seeing what they shape up to be.